This is a legal agreement (“Agreement”) between and among you and Liquid Tones Ltd and any other entity affiliated with Liquid Tones Ltd, (collectively, “Liquid Tones Ltd” stating the terms that govern your use of the Liquid Tones Ltd website and the music store or services located at websites owned by Liquid Tones Ltd such as liquidtones.co.uk, DJ Profiles, and/or facebook.com/LiquidTones (each of these websites and the services available through them are individually and collectively referred to in this Agreement as the “Website”, as the context requires). By using the Website, you agree to and are bound by the terms of this Agreement. You must accept and abide by these terms as presented to you, and Liquid Tones Ltd reserves the right to change, add, or remove portions of this Agreement at anytime. It is your responsibility to check the Agreement each time before using the Website, and your continued use of the Website will indicate your acceptance of any changes. In addition, you agree to comply with all local, state, federal, and national laws, statutes, ordinances, and regulations that apply to your use of the Website or Content (defined below). All “Content”, including but not limited to digital downloads of sound recordings and related digital content, including songs, mixes and loops, music, downloads or samples, and all software, artwork, graphics, video, text, interfaces, Trademarks, logos, images, photographs, and any other element of the Website, including the layout, look and feel, organization, and coordination of such Content on the Website is the property of or is licensed to Liquid Tones Ltd, and is protected by U.S. and international trademark, trade dress, copyright, and other intellectual property rights laws. Without the prior written consent of Liquid Tones Ltd, and except as provided in this Agreement, no Content may be transmitted, distributed, translated, publicly displayed, uploaded, published, recorded, retransmitted, rented, sold, distributed, digitized, marketed, reproduced, altered to make new works, performed, or compiled in any way. Through the use of the Website, you are permitted to listen to Samples (as defined below), and obtain digital downloads of sound recordings and related digital content, including songs, mixes and loops, which is part of the Website’s Content. Some of the Content is “Products”. The Content is only for your personal, noncommercial use. When using the Website, you understand that you may encounter Content that may be deemed objectionable, indecent, or offensive, which content may or may not be identified as having explicit language. You agree to use the Website at your own risk and Liquid Tones Ltd shall have no liability to you for Content that may be found objectionable, indecent, or offensive. (a) To use certain services of the Website you must register and provide certain information (e.g. a member (user) name, password, billing information, and valid email address) to Liquid Tones Ltd (“Registration Data” for the purposes of creating an Account, called my “Account”. You agree to provide current, complete, and accurate Registration Data at the time you register and you will update your Registration Data as necessary to keep it current, complete and accurate. Liquid Tones Ltd may terminate your Account and any or all rights to the Website if any information you provide is inaccurate, false, or incomplete. You agree that Liquid Tones Ltd may store and use the Registration Data you provide for use in billing fees to your credit card and maintaining your Account. By establishing a Liquid Tones Ltd Account, you grant permission for Liquid Tones Ltd to contact you at your e-mail address. You agree to pay for all Products that you purchase through the Website. Liquid Tones Ltd may charge your credit card for any Products purchased, and for any additional amounts (including any taxes and late fees, as applicable) as may be accrued by or in connection with your Account. For subscription services for which recurring billing may be applicable, Liquid Tones Ltd will charge your credit card on the first day of each new billing cycle as outlined in the terms of the applicable billing agreement. You hereby agree to authorize Liquid Tones Ltd to charge your credit card for the above mentioned at Liquid Tones Ltd’s convenience, but within (30) days of credit card authorization. YOU ARE RESPONSIBLE FOR PROVIDING BEATPORT WITH A VALID CREDIT CARD AND THE TIMELY PAYMENT OF ALL FEES. At its discretion, Liquid Tones Ltd may post charges individually or aggregate your charges with other purchases you make on the Website. If any of your billing information changes, you are responsible for updating the information in the applicable section of your “Member Account”. You are responsible for any charges on your Account that are incurred by any person through your Account, and you are solely responsible for keeping your Account secure and confidential. Liquid Tones Ltd may, at its discretion, modify, suspend, or discontinue the Website (or any part or content thereof) at any time with or without notice to you, and Liquid Tones Ltd will not be liable to you or to any third party should it exercise such rights; provided that if Liquid Tones Ltd terminates any prepaid subscription service, Liquid Tones Ltd will refund a prorated amount of such prepaid fees. 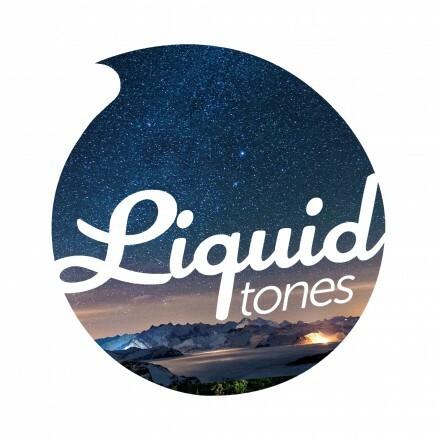 Liquid Tones Ltd sells Products to end user customers only, and not to resellers, distributors, music dealers, exporters, wholesalers, or any other businesses with an intent to resell. Liquid Tones Ltd reserves the right to refuse access to the Website or sale of Products for any reason, to any end user. Liquid Tones Ltd may terminate any offers for free or special promotions or pricing on merchandise at any time. Prices and availability of Products offered through the Website are subject to change at any time. Liquid Tones Ltd does not provide price protection or refunds in the event of a price drop or promotional offering. All sales are final and all charges from those sales are nonrefundable. Liquid Tones Ltd will not refund any fees for Products or services that you purchase and then fail to download, unless such failure is caused solely by Liquid Tones Ltd.
Due to the rapidly expanding, broad selection of Content on the Website, it is possible that Content may be accidentally mispriced. In such an event, Liquid Tones Ltd reserves the right not to accept end user orders with prices based upon typographical errors. Your receipt of an electronic or other form of confirmation does not (1) constitute Liquid Tones Ltd’s offer to sell and (2) convey Liquid Tones Ltd’s acceptance of your order. Liquid Tones Ltd reserves the right, at its discretion, and without prior notice to you, and for any reason, to decline your request for Product(s), or supply less than the quantity you ordered following receipt of your order. Liquid Tones Ltd currently accepts American Express, Visa, Master Card, Solo credit cards, and PayPal. Liquid Tones Ltd does not accept cash, money orders, or checks. Liquid Tones Ltd reserves the right to change this policy at any time. You agree to pay all fees and charges associated with your purchase(s), (including any applicable taxes), at the rates in effect when the charges were incurred. You, not Liquid Tones Ltd, are responsible for any unauthorized amounts billed to your credit card by a third party. As a cardholder, your card issuer agreement governs your use of the designated card, and as such, you must refer to that agreement to determine your rights and liabilities as a cardholder. Obligation to pay for Content or Download orders previously accepted by Liquid Tones Ltd will survive your termination of your Liquid Tones Ltd Account. Due to the nature of the service, refunds are only available in exceptional circumstances at Liquid Tones Ltd’s management’s sole discretion. 16. Limitations of Content Usage and Copyright. Liquid Tones Ltd may make available certain Content and Products. Your access to and/or use of any Products will be limited by the rules assigned to the Products by Liquid Tones Ltd (“Product Rules”) and described on the Webpage where you acquire access to the individual Product. You may not attempt, nor support others attempts, to decrypt, reverse engineer, circumvent or otherwise alter or interfere with any software required for use of the Website or any of the Product Rules. LIQUID TONES LTD RESERVES THE RIGHT TO ENFORCE THE PRODUCT RULES WITH OR WITHOUT NOTICE TO YOU. A “Download” is a purchased Product that you can (1) transfer to a compatible portable device, (2) save to your hard drive with unlimited playback time, or (3) burn to a CD/DVD, in each case for personal private use only and not for commercial or public use or distribution. Liquid Tones Ltd shall have no liability for lost, damaged, or destroyed Downloads. Any security technology that is provided with a Download is an inseparable part of the Download. The Download capability does not operate to limit any rights of the copyright owners in a Product or any works embodied in them. 17. Prohibited Uses of Downloads. You may not reverse engineer, decompile, disassemble, modify or disable any copy protection or use limitation systems associated with the Downloads. You may not play and then re-digitize any Downloads. You may not create any “derivative works” by altering any of the Content. You may not use the Downloads in conjunction with any other third-party content (e.g., to provide sound for a film). YOU MAY NOT UPLOAD DOWNLOADS TO THE INTERNET. PEER-2-PEER FILE SHARING IS STRICTLY PROHIBITED. Any other manner of network file sharing and transfer of Downloads to devices for such purpose is expressly prohibited and is a violation of U.S. and international copyright law. 18. Loss of Rights by Liquid Tones Ltd. Liquid Tones Ltd may at any time lose the right to make certain Products available. In such an event, you will no longer be able to access such Products from Liquid Tones Ltd’s Library function or obtain them from the Website catalog. 19. Electronic Signatures and Contracts. 20. Community Features / Public Areas. The Website may contain features designed to help members find Content of personal interest by viewing Content that other members have sampled and/or downloaded. These features may include access to members most recently played lists and access to member’s collections of Content. Further, Liquid Tones Ltd may feature message boards and/or chat rooms that allow for communication and posting of public profiles between users of the Website. The public areas are offered on a read only basis until a user signs up for the ability to post messages in the various forums. LIQUID TONES LTD HAS THE RIGHT, BUT NOT THE OBLIGATION, TO MONITOR, EDIT, OR REMOVE ANY ACTIVITY OR CONTENT IN SUCH PUBLIC AREAS, OR TO RESTRICT ACCESS TO OTHER MEMBERS TO VIEW YOUR MUSIC, CONTENT COLLECTION OR PUBLIC PROFILES. Liquid Tones Ltd is not responsible and assumes no liability for any activity, content, messages and the like that you or any other users post to a public area or a public profile, or send to another user over an instant messenger system. 22. Liquid Tones Ltd’s Rights. By posting messages, inputting data, or engaging in any other form of communication through the Website, you agree that Liquid Tones Ltd may copy, sub-license, adapt, transmit, publicly perform or display any such content to provide and/or promote the Website and/or to respond to any legal requirement, claim or threat. If Liquid Tones Ltd’s use of such content exploits any proprietary rights you may have in such material, you agree that Liquid Tones Ltd has an unrestricted, royalty-free, non-exclusive and perpetual worldwide right to do so. You represent and warrant that you own or otherwise control all applicable rights to the content, material, messages and the like that you post, upload, transmit or display; that the content, material, messages and the like are accurate; that use of the content, materials, messages and the like that you supply does not violate third-party rights and will not cause injury to any person or entity; and that you will defend indemnify and hold harmless Liquid Tones Ltd, its partners, parents, subsidiaries, agents, affiliates and/or licensors, as applicable, for all claims resulting from content, messages, materials and the like that you supply. You agree that any loss or damage of any kind that occurs as a result of the use of any messages, content or material that you upload, post, transmit, display or otherwise make available through your use of the Website is solely your responsibility. All copyrights in and to the Website, including but not limited to, the Liquid Tones Ltd music store (including the compilation of content, postings, links to other Internet resources, and descriptions of those resources), and software, are owned by Liquid Tones Ltd and/or its licensors. The use of the Website, or any Content on the Website, except for use as expressly permitted in this Agreement, is prohibited and subject to civil and criminal penalties, including possible monetary damages, for copyright infringement. All rights not expressly granted to you in this Agreement are reserved to Liquid Tones Ltd and/or is licensors. All trademarks, service marks, trade names, slogans, logos, and other indicia of origin that appear on or in connection with the Website are the property of Liquid Tones Ltd and/or its affiliates or licensors. You may not copy, display or use any of these marks without prior written permission of the mark owner. 26. Violation of Intellectual Property Rights. 27. Enforcement of These Terms. Liquid Tones Ltd reserves the right to enlist and take measures that Liquid Tones Ltd believes are reasonably necessary to enforce, or appropriate to enforce, or verify compliance with any part of this Agreement (including but not limited to Liquid Tones Ltd’s right to cooperate with any legal process relating to your use of the Website and/or Content, and/or a third party claim that your use of the Website and/or Content is unlawful and/or infringes such third party’s rights). You agree that Liquid Tones Ltd has the right, without liability or notice to you, to disclose any Registration Data/Account information to law enforcement authorities, government official, and/or third party, as Liquid Tones Ltd believes is reasonably necessary or appropriate to enforce and/or verify compliance with any part of this Agreement (including but not limited to Liquid Tones Ltd’s right to cooperate with any legal process relating to your use of the Website and/or Content, and/or a third party claim that your use of the Website and /or Content is unlawful and/or infringes such third party’s rights). 28. No Responsibility for Third-Party Materials or Web Sites. The Website may include Products, Content, and services from third parties available via the Liquid Tones Ltd Website. Liquid Tones Ltd may include links to third party websites, which are provided solely as a convenience to you. Liquid Tones Ltd assumes no liability or responsibility for third-party materials or websites, and you acknowledge and agree that Liquid Tones Ltd is not responsible for evaluating or examining the content or accuracy of any such third-party material or websites. By using the Website you agree to defend, indemnify and hold harmless Liquid Tones Ltd and its agents, employees, directors, contractors, representatives, licensors, technology providers, affiliates, parents and subsidiaries from and against any and all claims, losses, demand, causes of action and judgments (including attorney’ fees and court costs) arising from or concerning your breach of this Agreement and your use of the Website or the Content and to reimburse them on demand for any losses, costs or expenses they incur as a result thereof. You shall not sue or seek to recover any damages or other payment from Sounds/To/Sample and its agents, representative, employees, Licensors, content and technology providers, and any parent or subsidiary company as a result of its decision to terminate or suspend the Agreement and service hereunder. If you fail, or Liquid Tones Ltd suspects that you have failed, to comply with any of the provision of this Agreement, including but not limited to failure to make payment of fees due, failure to provide Liquid Tones Ltd with a valid credit card or with accurate and complete Registration Data, failure to safeguard your Account information, or violation of these Terms and Conditions or any license to the software, Liquid Tones Ltd, at its sole discretion, without notice to you may: (i) terminate this Agreement and /or your Account, and you will remain liable for all amounts due under your Account up to and including the date of termination; and/or (ii) preclude your access to the Website (or any part thereof), and seek any other lawful remedy available. The laws of the State of Colorado, of the United States of America, excluding its conflicts of law rules, govern this Agreement and your use of the Website. Your use of the Website may also be subject to other local, state, national, or international laws. You expressly agree that exclusive jurisdiction for any claim or dispute with Liquid Tones Ltd or relating in any way to your use of the Website resides in the courts of the State of Colorado, U.S.A.
32. Disclaimers and Limitations of Liability. (a) You agree that from time to time Liquid Tones Ltd may remove the Website for indefinite periods of time, or cancel the Website at any time, with or without notice to you. (b) Liquid Tones Ltd makes no warranty that any particular CD burner or portable device will be compatible with the Website or any Content offered on the Website. (c) Under no circumstance shall Liquid Tones Ltd be liable for any unauthorized use of the Website or its Content. (d) To the extent that in a particular circumstance any disclaimer or limitation on damages or liability set forth herein is prohibited by applicable law, then, instead of the provisions hereof in such particular circumstance, Liquid Tones Ltd shall be entitled to the maximum disclaimers and/or limitation on damages and legality available at law or in equity by such applicable law in such particular circumstance, and in no event shall such damages or liability exceed US $10. Your contractual partner for all orders within the scope of this online offer is sprd.net AG, represented by its Executive Board: Philip Rooke (CEO) and Tobias Schaugg, of Gießerstraße 27, 04229 Leipzig, Germany (listed in the Commercial Register at the Local Court of Leipzig under number HRB 22478), hereafter referred to as “Spreadshirt”. (1) The “offers” contained on the website represent a non-binding invitation for the customer to place an order with Spreadshirt. The contract only materialises when Spreadshirt dispatches the product ordered to the Customer and confirms the dispatch to the customer with a second e-mail (“Delivery Confirmation”). The details of the order can also be viewed online in the user profile under “Orders” on www.spreadshirt.net. Consequences of cancellation In case of an effective cancellation, any goods or payments received by either party are to be returned and any benefits that may have been obtained (e.g. interest) are to be repaid. If you are partly or wholly unable to return the goods and benefits (e.g. from use) to us or only in a deteriorated condition, you must compensate us accordingly. You shall not be required to compensate any lost value for the deterioration of the goods and for derived benefits insofar as said use and deterioration can be attributed to the inspection of the properties and the operational capability of the goods. “Inspection of the properties and operational capability” is taken to mean the testing and trying out of the respective goods as is possible and customary in, for example, a retail store. Goods which can be shipped as parcels are to be returned at our risk. You shall be required to pay the regular costs of the return if the goods delivered do not differ from those ordered and the price of the goods to be returned does not exceed 40 euros or, if the price of the goods is higher, if you have not yet paid for the goods or made a contractually agreed partial payment by the time of the cancellation. Otherwise the return is free of charge for you. Goods which are not able to be shipped as parcels shall be collected from you by us. Any obligations to reimburse payments must be met within 30 days. This period begins for you when you send either your notification of cancellation or the goods, and for us on receipt. (2) According to § 312d Para. 4 No. 1 BGB, the right to cancel does not exist for goods produced to the customer’s specifications or which are clearly tailored to the customer’s personal needs.